Advancements in satellite imagery have made it easier for exploration companies to collect vast amounts of data on potential gold deposits. 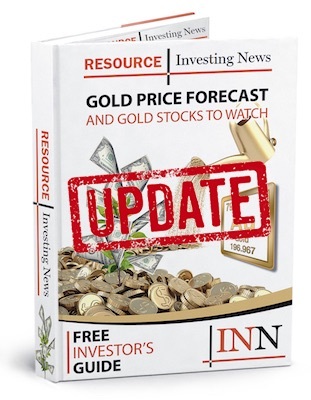 Exploring for gold is a costly endeavor that often comes with great risks, especially for junior miners. These companies are faced with the challenge of locating a metal that is extremely rare, and hard to find in economically viable quantities. That’s where the use of satellite imagery and remote sensing comes in. Using satellite systems helps explorers survey land without having to invest heavily in equipment or develop on-site infrastructure. When the first Landsat satellite was launched in 1972, geologists used sensors to collect simple data, such as surface features. They were able to get clues on potential mineral deposits beneath the surface, and could use the data for mapping. However, since then, imaging sensor technology has undergone rapid advancements that have allowed explorers to collect increasingly more useful data. Satellites are now fitted with more advanced sensors that use spectral properties to identify materials without having to view them in person. Spectral data is collected by aircraft and satellites using infrared, near-infrared, thermal-infrared and short-wave technology. Geologists can use this data to pick out rock units and find clues about subsurface deposits of minerals, oil and gas and groundwater. The very first sensors used on satellites were problematic, mainly because of their poor spectral resolution and inadequate spectral coverage. These limitations rapidly changed in the early 1980s with the launch of Landsat 4 and 5, which carried the Thematic Mapper scanning system. The system added coverage of short-wave infrared and mid-infrared regions of the spectrum. The Thematic Mapper scanning system is still used as an exploration tool, but newer satellites have been launched with better spectral resolution and accuracy when determining surface mineralogy. The technology in satellite systems has advanced to the point where not only individual mineral species can be mapped, but also chemical variations within the molecular structure of the crystal lattice of the mineral. The resolution of sensors on satellites can’t be compared to aircraft spectral remote sensors, but these satellites do come with other advantages. For example, satellite systems are able to collect more data from larger areas without having to fly any aircraft over the land in interest. With the ability to determine texture and petrology from miles above the ground, locating, analyzing, identifying and mapping the composition of the Earth’s surface is now greatly advanced. Here are a few benefits of using satellite imagery in mineral exploration. Satellite imagery helps reduce the cost of surveying land due to the fact that on-site personnel and equipment aren’t needed. Explorers can instead use a number of data sources to draw valuable insights for potential projects. This is especially helpful for juniors that have to justify risks to gather financing or begin operations. Geospatial data is critical to mineral exploration, but it can also be applied to all phases of the mining life cycle. Satellite images can be used to inform activities like building mine infrastructure or anticipating risks that are linked to a site’s geography. The relatively low cost and high utility of satellite imagery makes it a versatile technology for explorers. The advancement of sensor technologies has allowed companies to combine valuable satellite data with other information sources like drone mapping, feasibility studies and historical data about geographical sites. Satellite imagery also helps gather data that otherwise wouldn’t be attainable due to challenges in topography or climate. Diversifying information sources and increasing the sheer amount of available data means miners and scientists can gather new insights through their analysis. Satellite imagery certainly isn’t the only tool available to explorers, but the technology serves as an excellent complement to more accurate and resource-intensive technologies like LiDAR, GPS surveying and unmanned aerial vehicles. This is an updated version of an article originally published by the Investing News Network in 2011. Would you be able to assist me to obtain a satellite image of gold deposites in PNG. Very much appreciate your assistance. Hello. Is your requirement for satellite images a commercial requirement or just for personal use? Could you point me in the direction of the newest satellite technology offering the above mentioned abilities. Thank you. We need projections for Gold deposit in our 2 mineral prospecting claims in Kenya. How much would each cost for 2 areas of 315 sq kms each. i am living nearby the mining operation and the mining company is interested to do mining activity within my lot, Can i send the coordinate of my property lot plan so can detect the gold volume underneath. through satellite reading? Hello, I have 6 diamond concessions in Angola. Would you be able to work together in order to find out the total reserves in these concessions? Or help to produce a NI 43- 101 report? I am interested in knowing the site of satellite that has recorded images of treasure sites in the Philippines particularly in Mindanao. Could you help me?